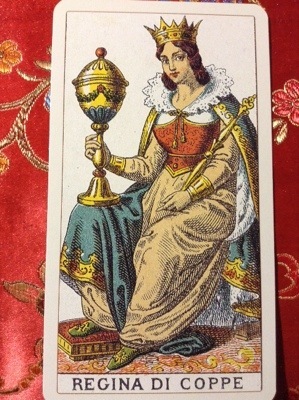 Today, we have the Queen of Cups as the Moon crosses from nurturing Cancer into queenly Leo later in the day. There is an emphasis on ‘soft’ traits today. Being comforting, supportive, and grounding will help those who are jarred or disturbed today. This kind of quiet support can have a calming effect.